Harley-Davidson Made This Diamond-encrusted Motorcycle (Video) from South Florida Reporter on Vimeo. Go big or go extravagant. That’s the philosophy behind the Harley-Davidson jewel-encrusted motorcycle from Swiss watch maker and jeweler Bucherer. 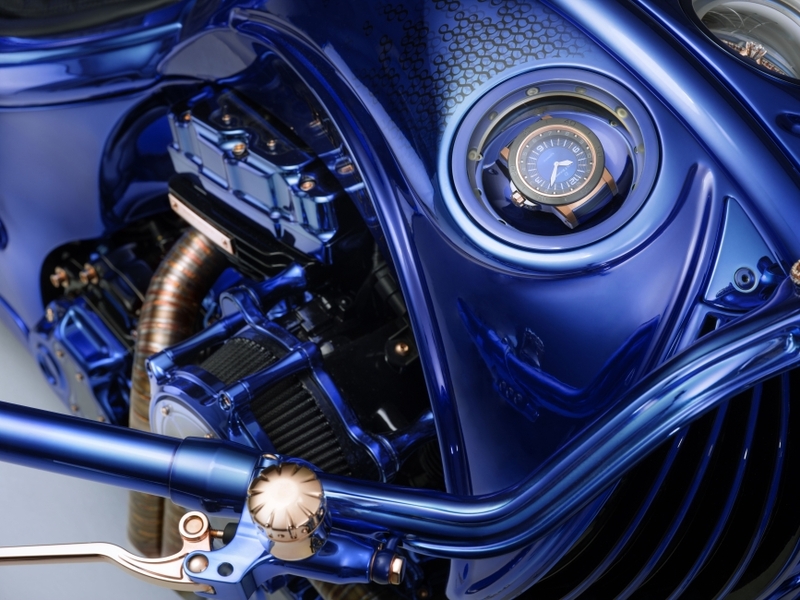 The custom-built Blue Edition bike took 2,500 hours to put together. It’s basically an extreme version of the company’s Blue Edition watch series. It’s truly almost too much to take in. It has 360 diamonds throughout. It features a diamond ring — a diamond band encircling a 5.40-carat diamond — and watch on display under glass domes. And every screw is plated with rose gold. The cowhide saddle is handmade. On top of all that, the engine compartment lights up in blue. The frame, rims, and gearbox match with an iridescent blue coat of paint. There’s even a retractable safe — you know, to keep your other expensive watches and jewelry safe while you ride on this opulent vehicle.